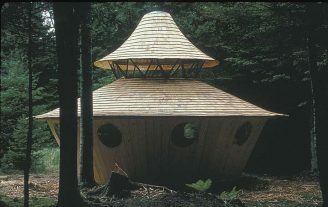 Bill Coperthwaite was a master yurt-builder/​designer who was featured in Home Work. 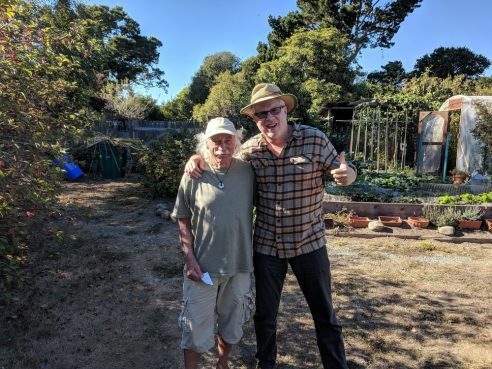 He died in 2013. 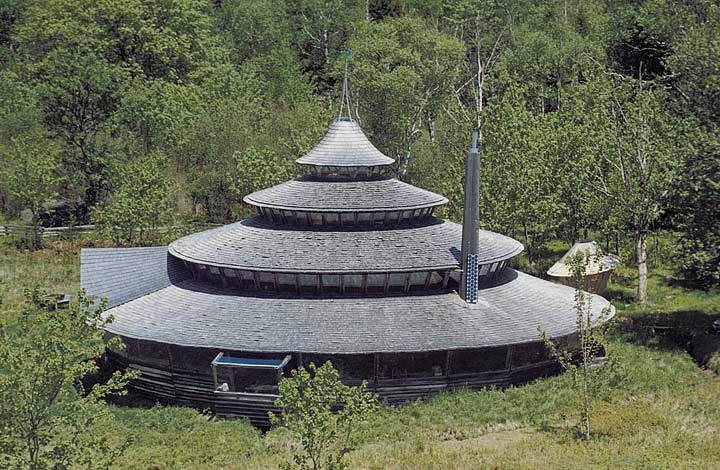 Here is a selection of several of his wooden yurts. 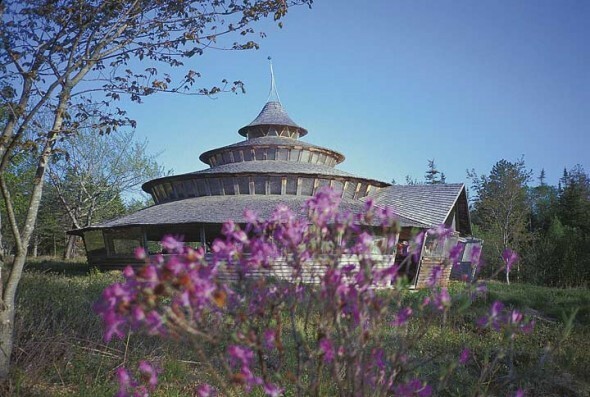 The photo above and the two photos immediately below were Bill’s home in the Maine woods. 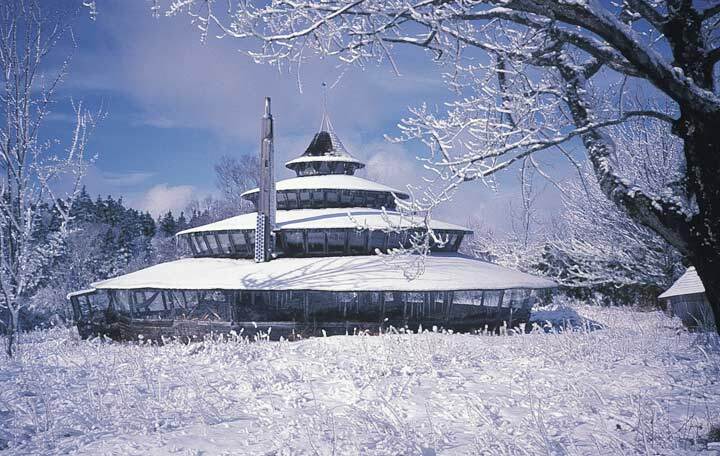 It is 54 feet in diameter and was designed so it could be built over a period of several years and still provide shelter during the process. It is a tri-centric, or three-ring yurt with 2700 sq. ft. of floor space. You can first build the 16 ft. inner core as a room to move into. In the second stage, you can build the large sheltering roof over a gravel pad, allowing the major cost, floor construction, to be delayed. 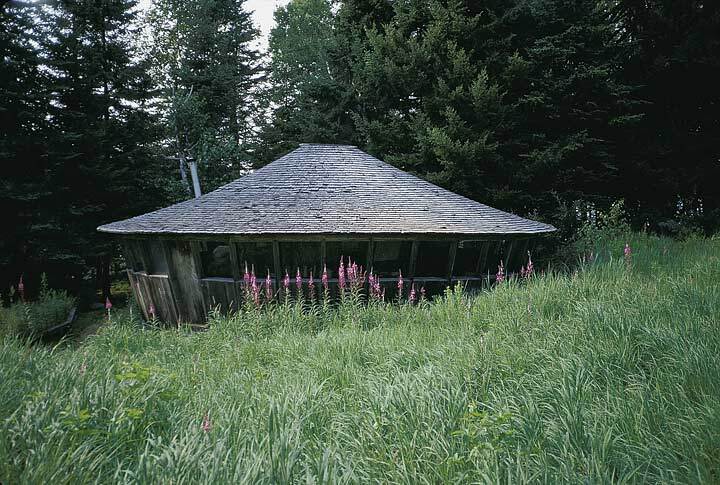 In the meantime you have a spacious area under roof that can be used for a workshop, greenhouse, garage, or for play. Here’s a guest yurt at The Yurt Foundation, Dickinson’s Reach, Maine, 1966. 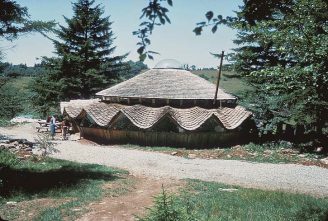 A concentric yurt on Mother Earth News land in North Carolina, 1979 is 38 ft. in diameter and is really one yurt inside another. 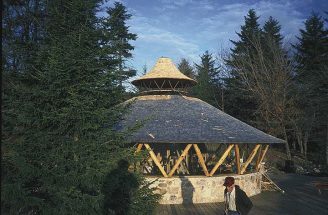 The inner yurt supports the roof of the outer one and reduces material costs. 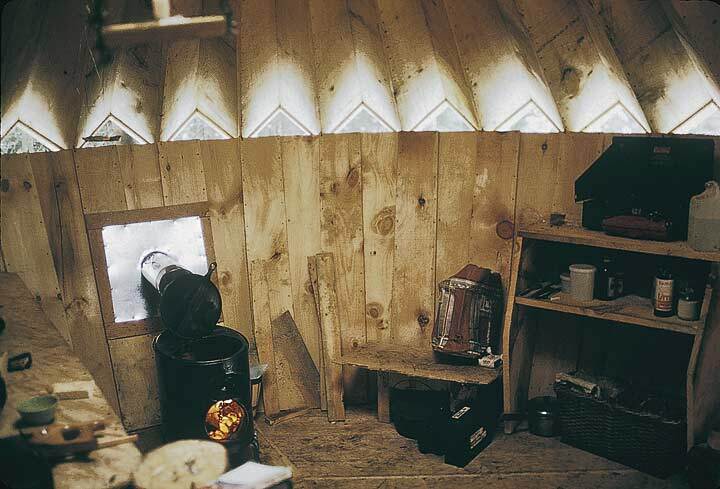 Here’s the inside of a Travel Study Community School yurt in Franklin, NH, 1968. 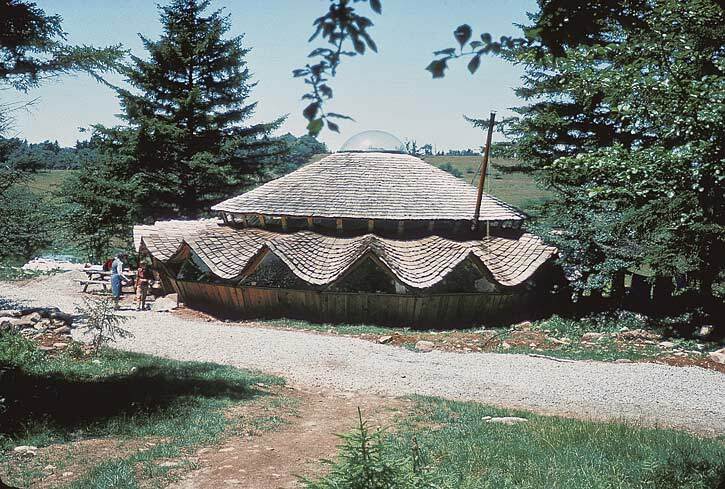 In 1962, while reading a National Geographic article, Bill recognized the folk genius in the design of the traditional Mongolian yurt. 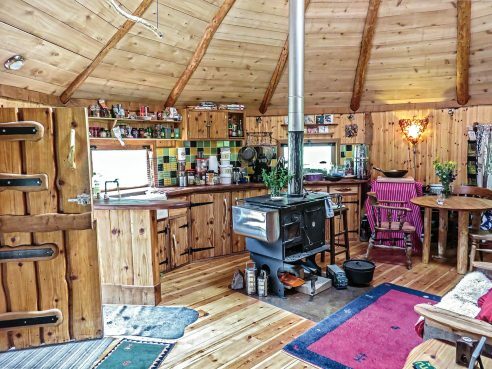 He found in the yurt both a rich potential for creative design and an opportunity for developing a simple dwelling that people could build themselves. 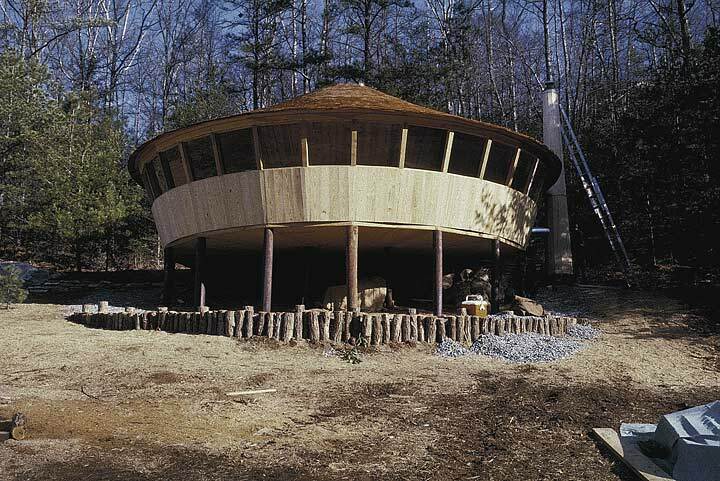 Bill designed the tapered-wall wooden yurt to enable people to play a larger role in creating their own shelter, using a design that reduces required building skills to a minimum while still producing a beautiful, inexpensive, and permanent shelter. 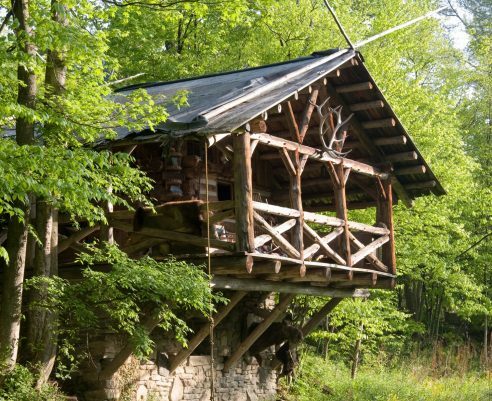 It is nice when a home can/is a work of art.